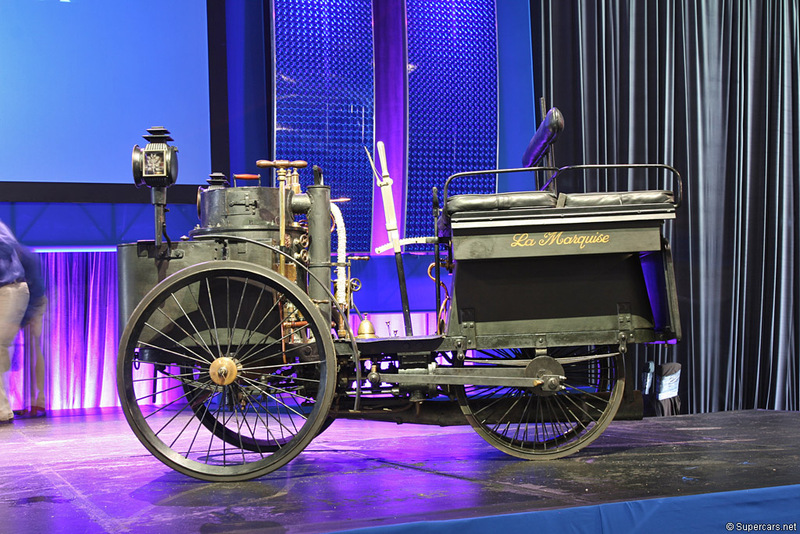 Originally built and owned by French nobleman and pioneer automaker, Count De Dion, the 1884 quadricycle has the distinction of being the oldest authenticated car extant and is in restored, road-ready condition. 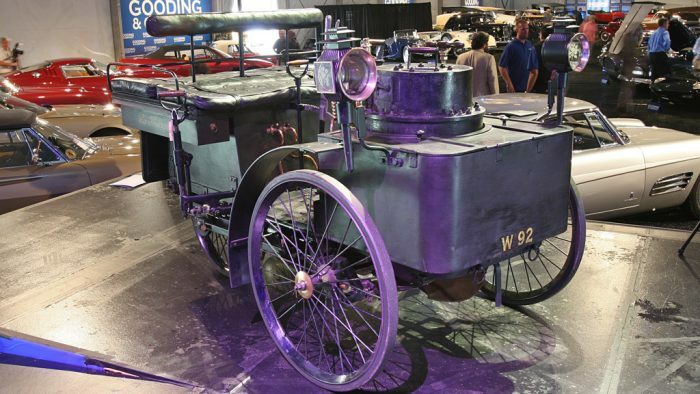 Since its invention 123 years ago, the vehicle has had only three owners: Count DeDion himself from 1884 to circa 1906, the Doriol family of Paris from then until 1987, and the current owner from 1987 to the present. 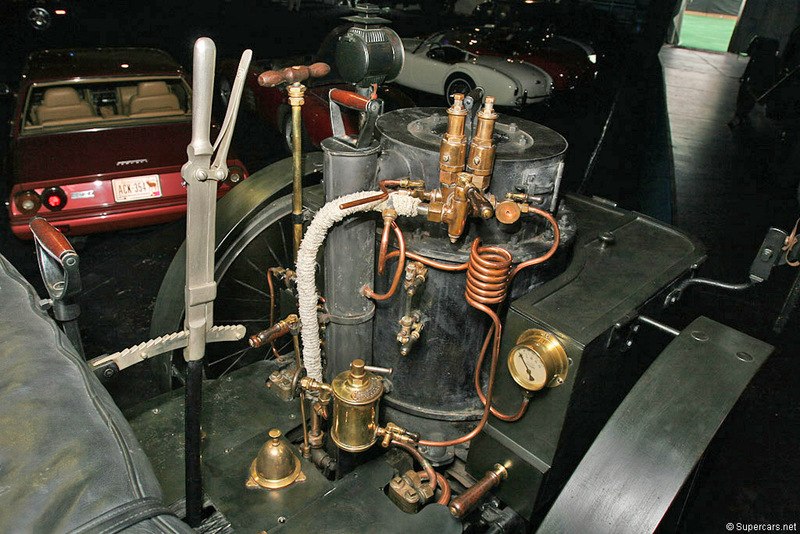 Boasting a top speed of 38 miles per hour, the De Dion Bouton’s twin tandem compound steam engines use coal and water for fuel. 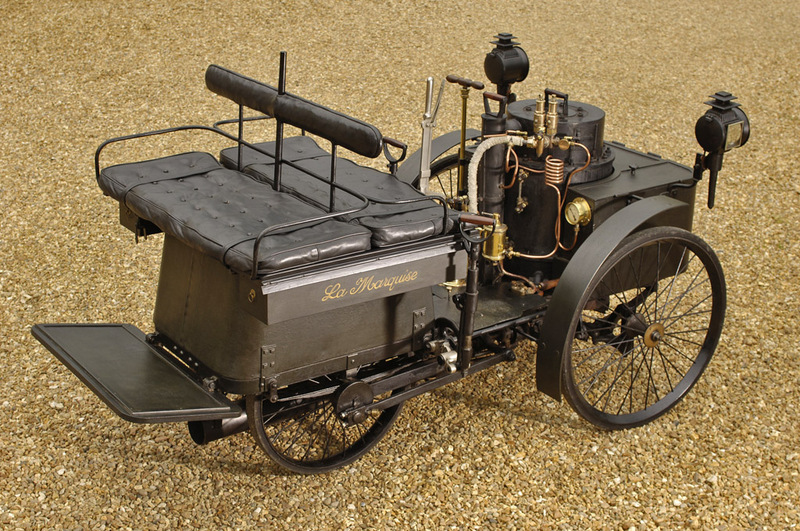 On April 28, 1887 it won the world’s first auto race, from Paris to Neuilly and back, covering a distance of 19 miles while averaging 26 miles per hour. 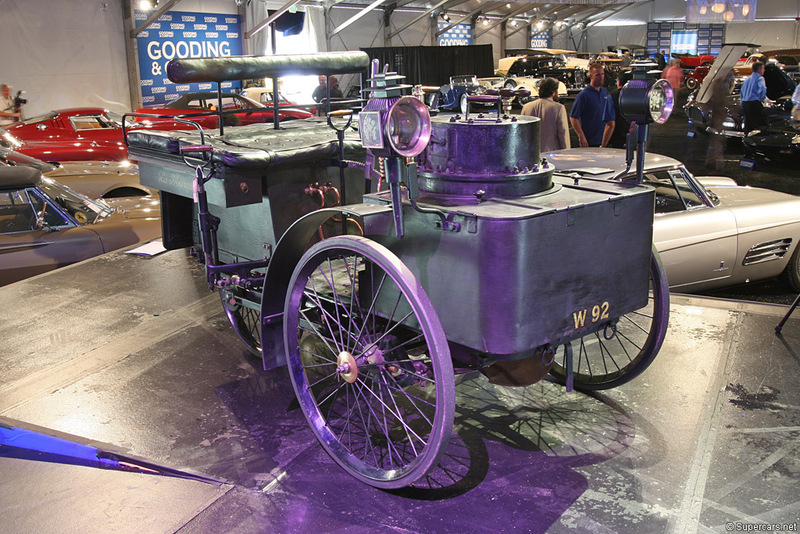 In the following year it won the worldâs second auto race against Georges Bouton’s steam tricycle, making it also the world’s first racing car. A photograph from that race survives today. The De Dion Bouton has been honored around the world in recent years: in 1990 with a display at ‘The History of French Motor Racing’ exhibition; in a series of demonstration runs at the 1994 and 1998 Goodwood Festivals of Speed; and at the 1996 Louis Vuitton Concours in London. A double winner at the 1997 Pebble Beach Concours dâElegance, earning first place in the pioneer steam cars division and for being the most historically significant car at the Concours, the De Dion Bouton also won the 1999 Cartier award at the Goodwood Festival for precentury steam vehicles. At their 2007 Pebble Beach Auction, Gooding and Company sold the Dos-a-Dos for $3 520 000 USD. It was honored at the 1996 Louis Vuitton Concours at the Royal Hurlingham Club, London. It was class winner of pre-century steam vehicles in 1999 at the Cartier ‘Style et Luxe’ Concours at the Goodwood Festival of Speed. In 1994 and 1998 it made featured demonstration runs at the Goodwood Festival of Speed. It has completed the 62-mile London-to-Brighton Veteran Car Run and the Evelyn Ellis Centenary Run. 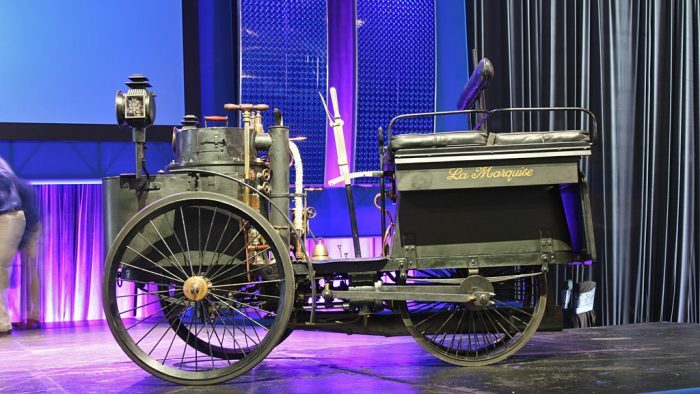 The car has changed ownership only twice in nearly 125 years. It is the world’s oldest racing car, the world’s oldest functioning automobile in private hands, and the holder of many prestigious awards.